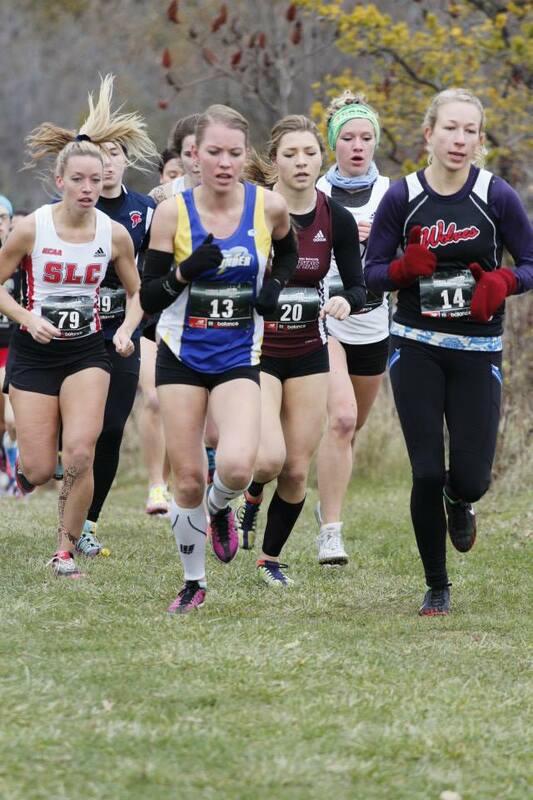 Second year runner Jamie Wigmore took on the top female college runners in Canada on Saturday, and fell just short of the top prize. Competing in the 2013 CCAA Cross Country Running Championships in Toronto, Wigmore ran at or near the front of the womens 5 km race until the final 500m when she fell off the pace. At the finish, she ended up in 5th spot, 15 seconds behind the leading trio of MacEwan’s Lesley Koopmans and Vanessa Trofimenkoff and Concordia University College’s Mariya Jenkins who had a blanket finish for the medals. Based on her top 7 finish, Wigmore was named a First Team Tournament All Star. Notablly, she finished ahead of the 2012 Conference Champions from Ontario, Quebec, and Atlantic Canada. Teammates Amanda Patteson and Kayla Hardy also had strong runs, placing 33rd and 42nd respectively. Christie Shepherd (52nd), Kirsten Manz (69th), and Tori Furstenwerth (81st) were the other Wolves finishers in the womens 5 km. Collectively, the Wolves women placed 6th in the team standings, two spots higher than in the 2012 CCAA meet. As he’s done all year, Hayden Hollowell led the Wolves mens team with an 18th place individual finish, 15 spots better than his placing at last year’s Nationals. The Wolves men were the 14th best team on the day. Other Wolves competing included Riley Wallace (32nd), Ian Keefe (100th), Vaughn Marillier (102nd), and Dylan Zambonelli (106th). While the season is over for most of the XC Wolves, a select group of local college runners, including Wigmore, Hollowell and Joren Manz, and high school standouts, including Mirelle Martens, Danae Keddie, and Britney Duval, will be travelling to Vancouver at the end of the month to contest the Athletics Canada Cross Country Nationals. 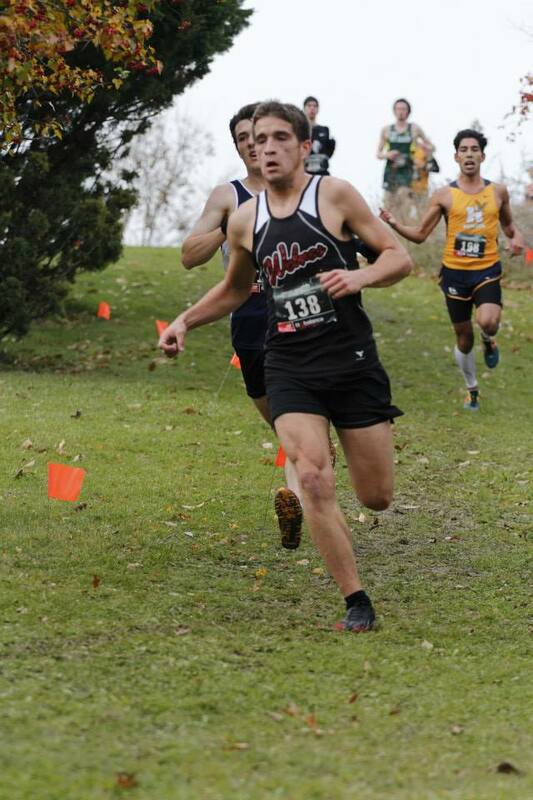 This entry was posted in Cross Country, Uncategorized and tagged ACAC, CCAA, Cross Country Running, GPRC Wolves, GPRC Wolves X-C Running, Riley Wallace, Toronto, Wolves, Wolves Athletics Club, X-C running. Bookmark the permalink.